Cy Young’s Red Sox Uniform on Auction Block; Is Hall of Fame’s 1908 Young Jersey Another Halper Fake? The HOF purchased their 1908 Cy Young jersey from Barry Halper. Heritage Auction Galleries of Dallas, Texas, is offering an amazing baseball relic in its August 4th sale at the National Sports Collectors Convention in Chicago. It is the legendary Cy Young’s 1908 Boston Red Sox road uniform. Accompanied by a letter of authenticity from MEARS and a fabric examination report from the Textile Conservation Workshop in South Salem, New York, it also features a letter of provenance from the deceased director of the Cy Young Museum in Young’s hometown in Newcomerstown, Ohio. When the uniform was first sold by the museum back in 2007, its President, Barbara Scott, stated that the uniform was given to a friend of Young’s in the 1940s and was donated to the museum a short time thereafter. The uniform was reportedly displayed at the Young Museum for decades. A replica of the rare jersey being sold, crafted by a local seamstress, is now displayed in the local McDonald’s in Young’s hometown. Halper’s 1908 Young jersey was featured in the 1999 to 2001 exhibition in the Hall’s former Barry Halper Gallery and was displayed until 2007 in the Cy Young display case on the museum’s second floor. 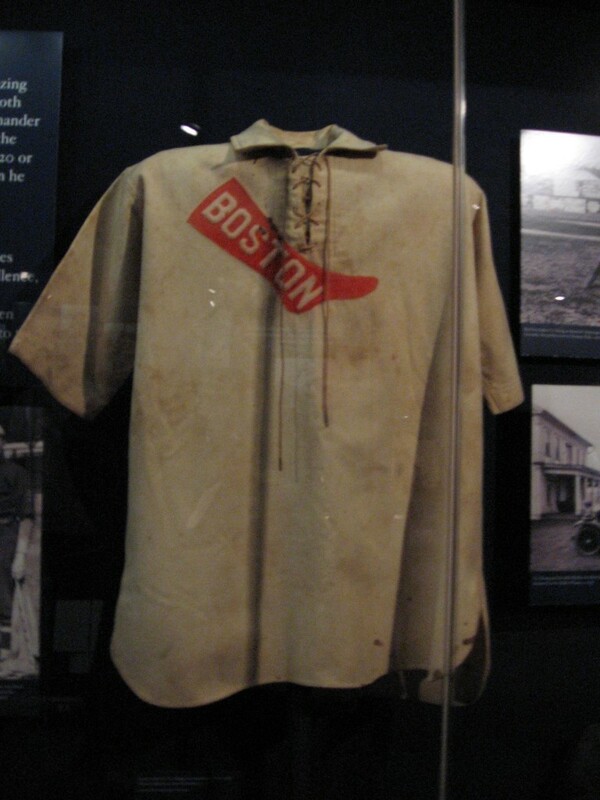 In 2008, the jersey hit the road as part of the “Baseball as America” traveling exhibition that made its last stop in Boston at the Museum of Science. 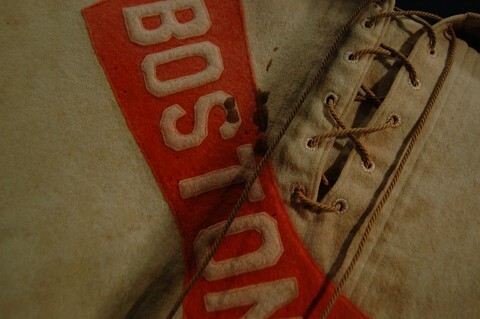 Young’s alleged 1908 jersey appeared with other Boston baseball treasures including Curt Schilling’s famous “bloody sock” from the 2004 World Series. 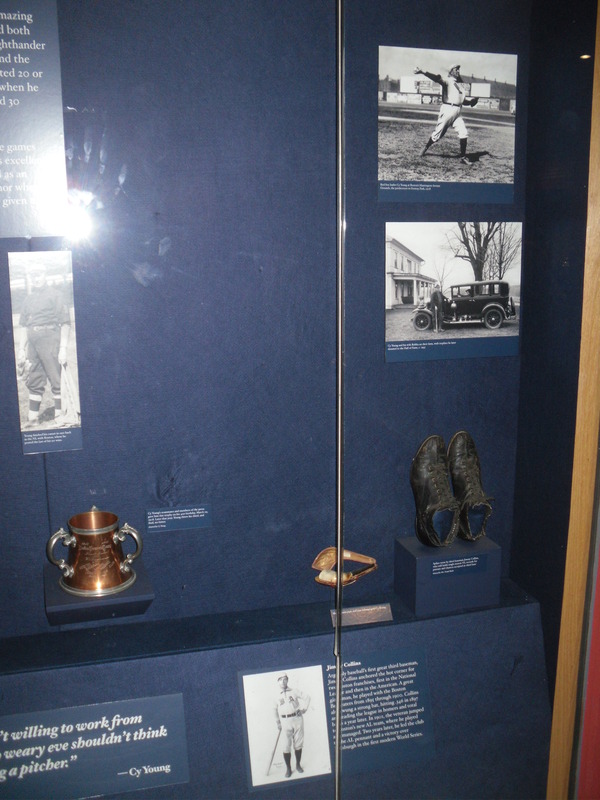 But since the Hall of Fame admitted in October of 2010 to the New York Post that the alleged 1919 “Shoeless” Joe Jackson jersey they purchased from Barry Halper was a fake and also admitting to the Post returning Mickey Mantle’s alleged rookie jersey, many other Halper items have been placed under close scrutiny as suspect counterfeits. 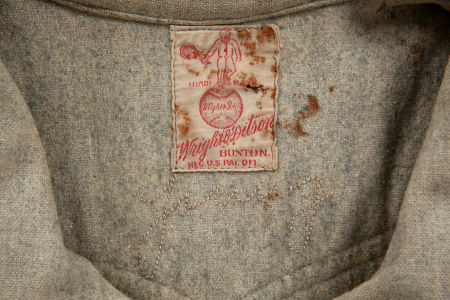 The authenticity of the Hall’s 1908 Cy Young jersey has now come into question with the appearance of the 1908 road jersey featured in Heritage’s upcoming auction. Many of the Halper fakes, including the Joe Jackson jersey, were authentic period garments that featured fraudulent logos and “chain-stitched” names of Hall of Fame players and infamous stars. The controversy over the Hall of Fame’s example revolves around the “Young” name embroidered into the garment. The jersey itself appears, by all means, to be an authentic 1908 Red Sox jersey made by Wright & Ditson, but was it Cy Young’s? By removing the thread bearing a utility players name in the collar, and replacing it with a chain-stitched Hall of Famer’s name, a jersey once valued at $10,000 could quickly soar to $1 million. Halper was known to have acquired several authentic jerseys of other Red Sox non-Hall of Famers and the 1999 Sotheby’s sale included an authentic 1910 Red Sox jersey of manager Fred Lake, who also managed the team in 1908. Halper's counterfeit 1912 Eddie Cicotte jersey was sold at Sotheby's in 1999 and at Grey Flannel in 2001 (above). By the time it was sold by MastroNet in 2004, it was determined that the "Cicotte" chain-stitched name was fraudulent and was removed. 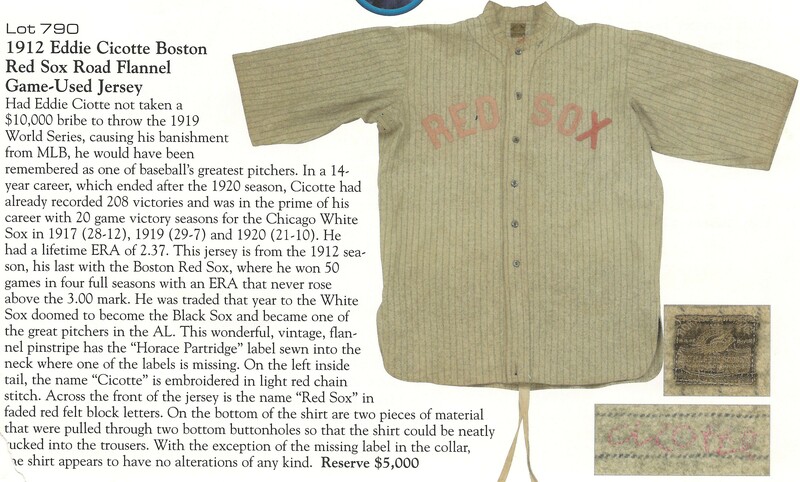 The auction house sold it as an authentic "1915-18 Red Sox Road Jersey." The Halper Collection also included another forged jersey of Cy Young alleged by Halper to have been worn by the pitcher in 1903. The jersey was featured in a 1985 Sporting News feature written by Bill Madden about Halper’s uniform collection, but the garment never passed authentication to make it into the 1999 Sotheby’s sale. Halper’s only publicly displayed Young jersey was his bogus 1903 example. We could find no evidence of Halper claiming to own Young’s 1908 jersey before the time of the Hall of Fame transaction. The 1908 Cy Young home uniform currently in the Hall of Fame’s collection has been on public display for over a decade, but the “chain-stitched” Young name in the collar has never been revealed, always obscured by the neck of a mannequin that the jersey rests upon. As of Induction Day on July 24th, the Cy Young diplay case on the second floor of the museum featured an empty space where the alleged 1908 Red Sox jersey was once displayed. Haulsofshame.com also contacted Hall spokesman Brad Horn and President Jeff Idelson to inform the museum of the authenticity concerns regarding their jersey and requesting an image of the chain-stitched Young name. Both Horn and Idelson did not respond to multiple inquiries via phone and email. The Hall’s Young jersey has not returned to its former display case in the museum’s second floor Cy Young display since it returned from the 2008 Baseball as America traveling exhibition. Its last public appearance was in a photograph featured in the Hall’s 2010 Induction Yearbook. As of Induction Day on July 24th, the Cy Young display case was devoid of the Boston jersey. One of Young’s 19th century Cleveland jerseys occupied that space recently but has since been moved to the Hall’s new “One for the Books” exhibition. The empty space has not been filled by the return of Halper’s 1908 Sox jersey. Hall officials determined its Joe Jackson jersey was fraudulent after a report was published by Haulsofshame.com in August of 2010 and a textile expert analyzed the materials used to construct Barry Halper’s former million-dollar treasure. Halper claimed to have purchased the jersey from Jackson’s widow in the 1950s, but the Hall’s in-house investigation determined the garment incorporated materials that hadn’t come into existence until the 1940s. In 1985 Halper also gave a conflicting acquisition story to The Sporting News claiming that the same Jackson jersey was a “recent acquisition” purchased from Jackson relatives via cash in the mail. The HOF's 1908 Young jersey was displayed in the Cy Young exhibit through 2007 and then became part of the "Baseball as America" touring exhibition in 2008. The Hall of Fame’s refusal to publicly reveal an image of the chain-stitched name on their Halper jersey has fueled speculation and allegations that they have another big-ticket counterfeit on their hands. A side by side comparison of the Heritage and Hall of Fame jerseys would go a long way to determining the authenticity of Halper’s alleged treasure. Uniform expert and authenticator Dave Grob says, “While I have yet to see the Heritage jersey in person and was not part of the MEARS evaluation, I feel there are a number of aspects that bode well for the uniform. Let’s begin with provenance…not just a story but a related series of events and facts that appear both reasonable and verifiable when viewed holistically. I also found the report provided by the Textile Conservation Workshop to be very compelling with respect to making the case for the materials used as being period appropriate. 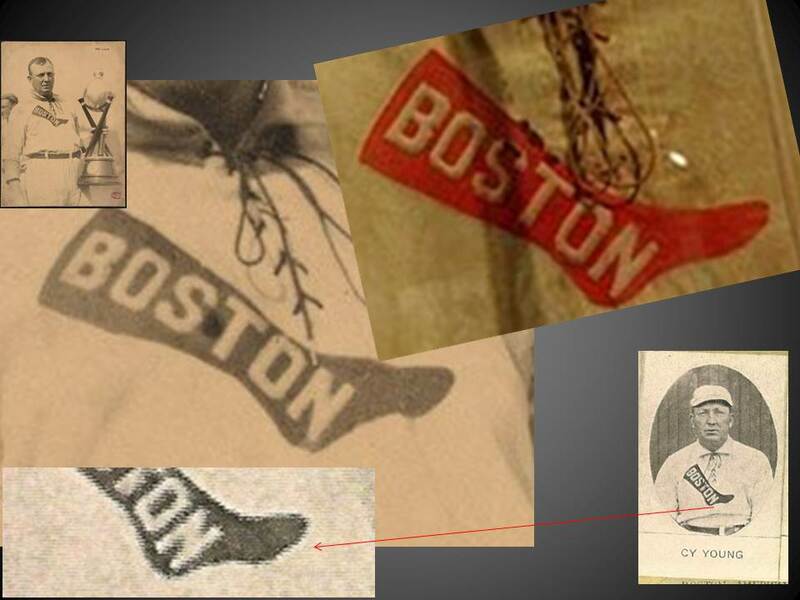 They style of the Wright & Ditson manufacturers’ tag is also consistent with other tags I have seen in Boston Red Sox garments attributed to the period of 1907-1912. I was especially interested in the tagging based on a previous evaluation of a Jimmy Collins Boston Americans (Red Sox) jersey that originated from the Halper collection and found to be problematic. That tag in the Collins jersey did not appear to be period appropriate and also showed signs that it had been added to the jersey post-manufacturing. As for the Heritage Cy Young jersey, I have not seen anything about this jersey to suggest to me it is anything but what it is offered as being”. 1908 was the first year the Boston Americans became known as the “Red Sox” and the team’s 1908 uniforms were a one-year style which featured a large red sock with the letters B-O-S-T-O-N embroidered on. Surviving period photographs of Cy Young wearing his 1908 home Red Sox jersey were examined by Dave Grob who uncovered additional potential problems with the Hall of Fame’s jersey. Grob says the contours of the Red Sox logo on Young’s chest differs from the Hall’s example. Says Grob, “Based on the contours exhibited by the logos, it appears that Young is wearing two different home jerseys in the two period photos. The Hall’s jersey also shows different contours and suggests that it is neither of the garments Young is wearing in the period photographs. This means for the Halper Young jersey to be authentic and without alterations or restoration, Young would have had to have been issued three home uniforms for 1908”. Eighth: Every club shall furnish each player with two complete uniforms, exclusive of shoes. The player shall make a deposit of $30 therefore, which shall be returned to him at the end of the season or the termination of his contract, upon the surrender of the uniforms by him to the club. The words “complete uniforms” shall be construed to mean two pairs of trousers, two shirts, two belts, two caps, stockings as required, and a coat or sweater. The players were successful in having most of their requests granted. This meant more for the Commission than giving away in principle, for it means that much money will have to be spent to live tip to their part of the agreement. It may be seen how much it will cost the magnates when it is remembered that in such a small matter as that of uniforms the magnates agreed to furnish two uniforms a season to the ball players free of charge. As there are 20 to 25 players on a team, one can figure what it will cost them at $15 a suit. Forty suits is about the smallest number that any club can squeeze along with, which means $600. Every club has for its players a home suit and a road uniform. It was brought out that only the National League had failed to buy the uniforms for the players. This will mean a saving of at least $30 for each player in the National League a season. Grob also believes that the Red Sox logos affixed to the 1908 uniforms were cut from the same template and constructed by hand. “Each one should appear to be visibly different and unique,” says Grob. If authentic, the Baseball Hall of Fame’s Young jersey would surpass the Heritage example, since it still features its original sock logo and is in superior condition. Hall of Fame officials have also not revealed whether the Young jersey has already been examined by the same textile analysis outfit that determined Halper’s Joe Jackson jersey was bogus. While Hall of Fame spokesman Brad Horn did not respond to several inquiries made by Haulsofshame.com he did respond to blogger (and Spink award winner) Murray Chass when asked about how many items from the original Halper purchase had been rejected? Contrary to what he told Chass last week, Horn confirmed to a reporter from the New York Post, in the Fall of 2010, that the Hall of Fame had rejected and sent back to Halper his alleged Mickey Mantle 1951 rookie jersey bearing the number “6.” It appears that Horn also neglected to divulge to Chass that the Hall removed “Shoeless” Joe Jackson’s glove from its “Black Sox” exhibit case in October of 2010 after the Jackson jersey was exposed as a fraud. The glove had been publicly displayed for years. Today, the Hall’s Black Sox display case is nearly empty without the bogus Jackson glove and jersey. All of Halper’s Joe Jackson items appeared with the 1908 Cy Young jersey in the Hall’s “Memories of a Lifetime” exhibition in the Barry Halper Gallery from 1999 to 2001. The Hall of Fame has not issued any public statement explaining why the Halper Gallery no longer exists in its museum. With their past history of holding out counterfeit artifacts as authentic baseball treasures to their paying customers, the Hall of Fame has a responsibility to provide access to artifacts for researchers and to prove that their Cy Young jersey is the real deal, like the one being offered by Heritage. In the three week period preceding the Heritage sale on August 4th, the Baseball Hall of Fame did not provide Chris Ivy with an image of the chain-stitched “Young” on their jersey. As of today, they still have not fulfilled that request. Heritage's 1908 Young road uniform is missing the original Red Sox emblem, which the auction house claims was removed by Young so he could wear the jersey in local sandlot games after he retired from the big leagues. Like I have stated before,this is like a soap opera,it just keeps going on and on, with no real ending.Halper in plain words, was a disgrace to the industry. What are the odds on this one in Vegas???? 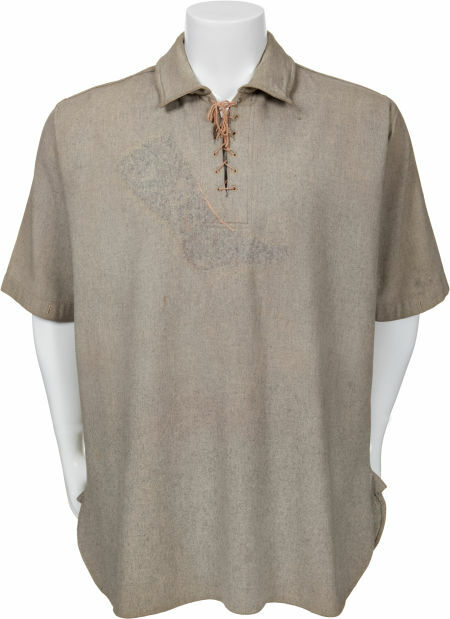 The genuine 1908 Cy Young jersey sold at the Heritage live auction for $657,250. I have a question about this jersey and the ‘Black Betsy’ bat that I think needs to be raised; where were these people who owned these artifacts twelve years ago when Barry Halper robbed the Baseball HOF blind? Unless the only people who knew of their existence were octogenarian great-grandmothers who didn’t know what a computer was and only picked up the newspaper to read the horoscopes and do the crossword I find it highly implausible that someone sitting on the real 1908 Cy Young away jersey could be completely unaware that the Baseball Hall of Fame owned, allegedly, the same thing. And if the uniform was sitting right there in the Cy Young museum the whole time, why did nobody notice? Wouldn’t a Cy Young museum be the first place to call when attempting to authenticate Cy Young artifacts? And if the people who had the real thing did know that Halper’s jersey was bogus, why did they let the Hall of Fame blow millions of dollars on his junk? The Black Betsy bat was obviously in private hands, but the paper trail for that doesn’t seem completely irrefutable, at least based on the description, and aside from the tape stains, which don’t at all match the amount of tape on the bat in the photographs provided, it looks like it could be any old warped piece of lumber. I’m not an expert, but would Spalding also have stamped a model number onto a bat they didn’t make? Any sign of Spalding’s stamp can’t be seen on the provided photos either. Maybe it’s just reading all your articles that’s making me that much more skeptical, but it’s also quite convenient that this is coming up for auction as soon as all Halper’s “artifacts” are being outed as fakes. My question is, why don’t they do scientific analysis and dating BEFORE they auction off these objects? I think I already know the answer to that: because if it ended up being fake, they wouldn’t be able to sell it for a half million dollars. While I suppose it is possible that these things could have just surfaced seemingly out of the sands of time, when an object is 100+ years old and is as fabled and sought-after as these two artifacts, I don’t think that a couple of letters can be considered enough to establish their irrefutable provenance; there’s a ton of money to be made by producing a highly convincing fake. The baseball memorabilia industry is a pretty scummy business, it seems. The alleged 1908 Cy Young jersey in the HOF’s collection is a home jersey and the example sold at Heritage was a full road uniform. So, its not as if the existence of both would mean that one of them was not legitimate. Backed up by Dave Grob’s opinion (although he did not examine the uniform in person) it appears that the Heritage uniform is genuine. It also appears that the HOF’s example is, at least, an authentic 1908 Red Sox home jersey. There is, however, no evidence available supporting the Hall’s (and Halper’s) contention that this jersey was actually Cy Young’s. The only evidence they could provide to back this up are images of the chain stitched “Young” name in the garment’s collar. Despite receiving inquiries from Heritage and Haulsofshame.com, the Hall of Fame has declined to provide any photographs or other evidence supporting their public claims that this was Young’s actual jersey. Considering the revelations about the HOF’s bogus Joe Jackson jersey and the knowledge that Halper had at least one other forged Cy Young jersey, the Hall’s alleged 1908 Young jersey is highly suspect and could easily be authenticated by someone like Dave Grob. Grob has offered his services gratis to the Hall in the past. In the near future we will publish information we have discovered in regard to the controversy over the Joe Jackson “Black Betsy” bats. How can a museum sell something they don’t own it’s a travesty that this could ever have happened.